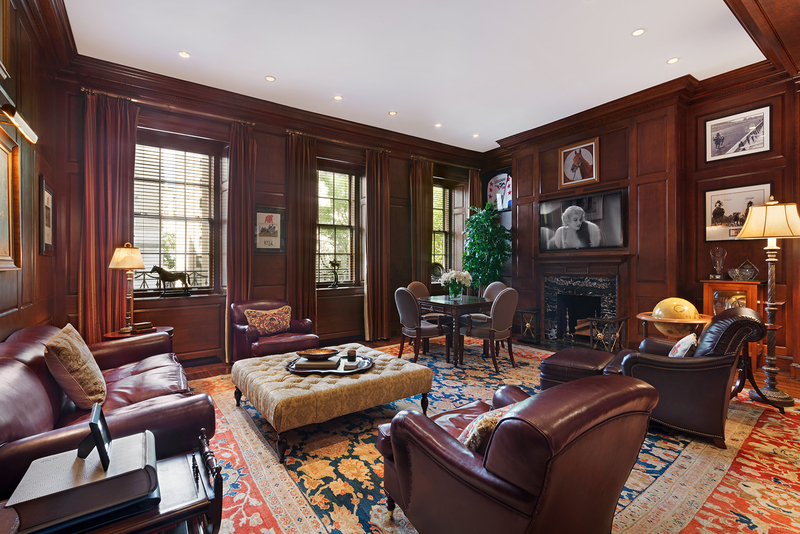 6 East 69th Street is a 25-foot wide, 12,000-square-foot single family townhouse located on a quiet, tree-lined block just moments from Central Park. 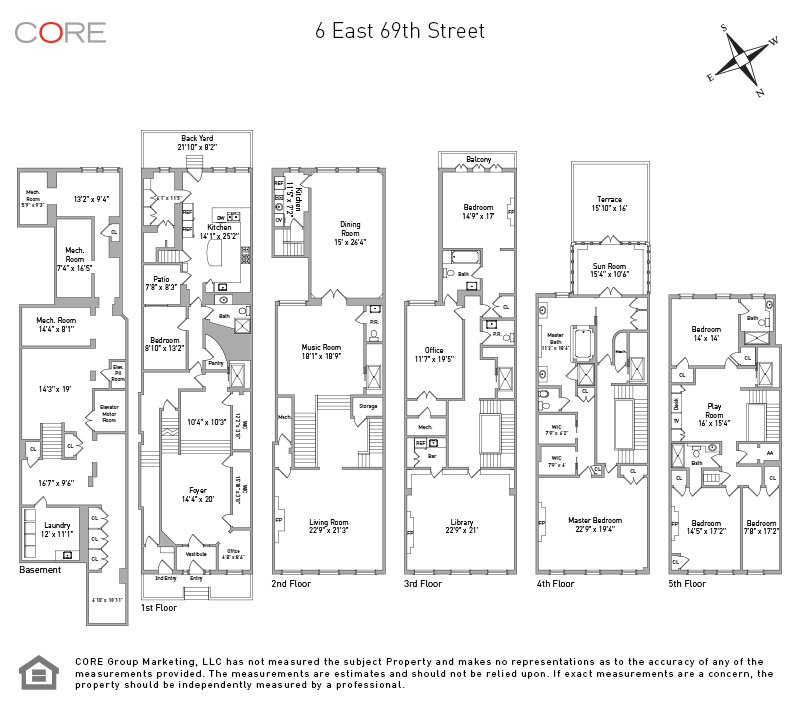 The home is one of the few single family townhouses on the Upper East Side that possesses such generous width and size in this highly coveted location between Fifth and Madison Avenues. The property was originally built in 1887 by noted architect John H. Duncan, well-known as the designer of significant residences of great scale on the Upper East Side as well as Grant's Tomb in Riverside Park and the Memorial Arch in Grand Army Plaza. In its original incarnation, 6 East 69th Street included a limestone base and a Juliette balcony off the second floor, and in 1936, the home was completely remodeled with a neo-Federal style facade highlighted by handsome, Flemish-bond brick and a limestone trim. This gracious home is ideal for entertaining with two separate entrances including a formal entrance leading to the grand parlor floor which features an elegant living room with 12-foot high ceilings, a wood-burning fireplace, separate music performance room and a large formal dining room which includes a serving kitchen with direct access to the main kitchen on the floor below. The third floor is highlighted by a wood paneled library with a wood-burning fireplace and built-in bar. The fourth floor boasts a spacious master suite leading to a sunroom and south facing terrace. The top floor hosts three large bedrooms with two bathrooms and conveniently located playroom/screening room/study room.